Nothing really says summer like sunshine and fresh fruit. 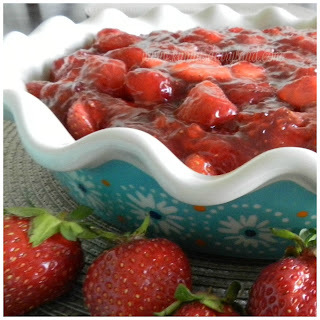 This strawberry pie was one of Grandpa's favorites, and since Father's Day is this month, I wanted to share it with all of you. It's one of my favorites too! We've always had a large garden full of fruits and vegetables. As a little kid, I loved picking raspberries, blueberries and strawberries for Granny and then she would make a pie. Grandpa loved eating said pie. I love how farms allow families to work together and spend so much time together. My grandparents and my brother and I are extremely close because of this. We grew up watching Grandpa work hard to get the hay done before the rain came, watched disappointment over said hay getting wet when it rained unexpectedly, watched him assist cows with difficult calvings and watched him work hard day in and day out. I can't think of a better way to learn how to have an outstanding work ethic. He also taught us the many joys of farming. Cows are fun. Taking care of livestock is rewarding. Making hay in the summer ensures said cows have food to eat in the winter when the grass isn't growing. 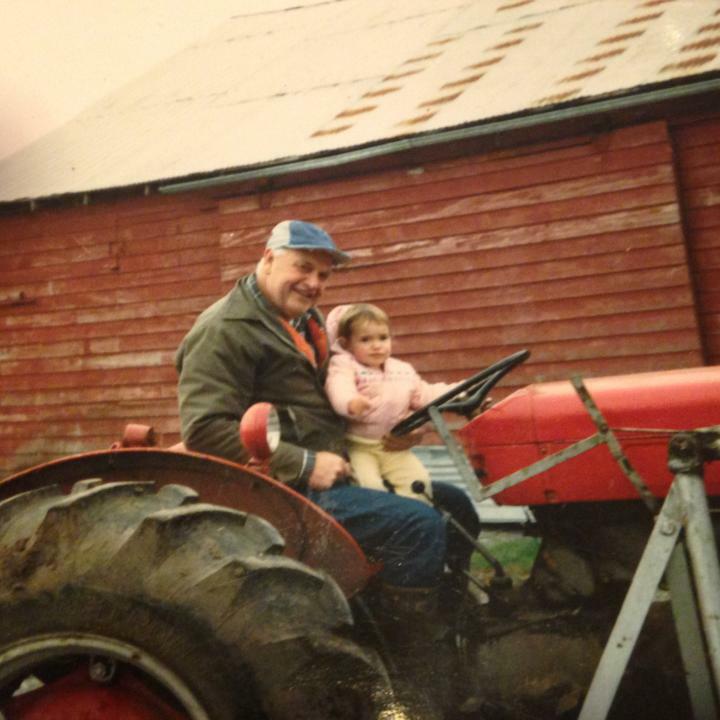 My brother and I are passionate about farming because of Grandpa. Our farm has changed a lot since the days when Grandpa was milking cows by hand as a kid. More about that here. I'm so happy I was able to get home for his last Father's Day last June. We celebrated his 93rd birthday early and had the best time. The weather controls so much on the farm and farmers have absolutely no control of it. If you want to know one of the things that can frustrate farmers the most, it's the weather. Too much rain. Not enough rain. The rain didn't come at the right time. Don't even get me started on that. The weather has finally turned, planting is basically done in most areas and it's strawberry season, so, let's eat some pie. This is a good one to take to a family get together or barbecue. This reminds me of a pie my Grandpa loved :) Thanks for sharing on the Celebrate 365 Blog Party!